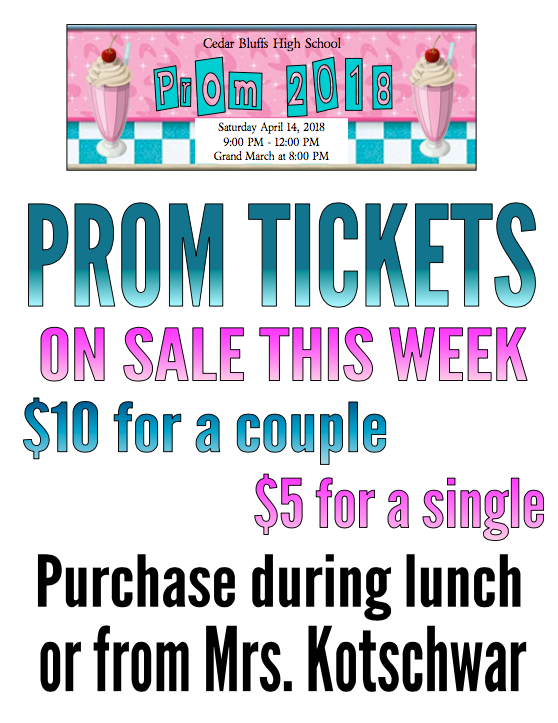 If you're planning on attending Prom make sure you get your tickets purchased this week during lunch or from Mrs. Kotschwar! Copyright © CEDAR BLUFFS PUBLIC SCHOOL 2019. All rights reserved.